The time is NOW. 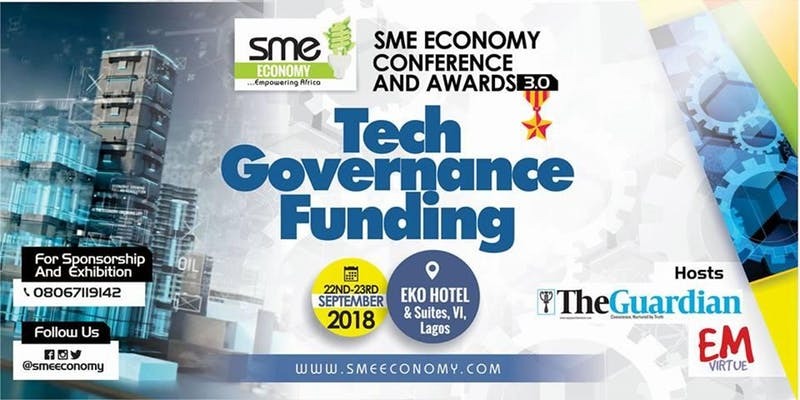 The 2018 SME Economy Conference is the biggest of them all to hold at the prestigeous EKO HOTEL, Lagos. A two days event that will gather business owners, innovators, stakeholders, corporate Nigeria, the media, Government, international community, idea hunters, investors and much more. Day 1, will be Conference, Exhibition, product unveiling, tech sessions, business pitching, networking and live market. Day 2, will be the BIGGEST SME AWARD in AFRICA with about 20 categories to be won by innovative SMEs. This award will set up thousands of startups for big success. You can nomiante a business on www.smeeconomy/nomination. We are happy to announce that GUARDIAN NEWSPAPER is our co-host. This guarantees massive media mileage acrossboard. Our time is NOW, we will together build Africa of our dreams. Visit - www.smeeconomy.com for more. 360training.com can jump start your career in the Insurance industry. Get pre-licensing and continuing education courses. Use code: SAS10OFF | Enroll Today!